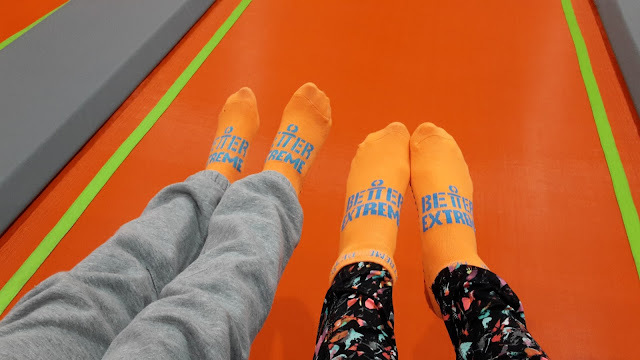 On Saturday we were invited to review the new Better Extreme Trampoline Park, at the Swindon Link Centre, before it officially opened this week. Better Extreme is part of GLL, a not-for-profit social enterprise scheme whose key objectives include getting more people active - and the trampoline park is definitely a great way to do this for people of all ages. Swindon, although only 40 minutes drive from us, is rarely ventured to but it has a lot to offer families. Placed within the Link Centre, which itself has an ice rink, swimming pool, library and coffee shop on site, the trampoline park has state-of-the-art equipment including a main court with foam pits, extreme dodgeball area, basketball, fidget ladder, slack line and performance walls. Upon arrival we received our funky trampolining socks - which the children were excited about as you get to keep them! We were then taken to the large locker area to store our bags and jewellery safely - £1 returnable lockers - before watching the all important safety film. Then it was off to explore. With chart music filling the room we stayed for an hour and barely stopped bouncing from one area to another with the dodgeball being the favourite all round. Friendly staff were on hand to supervise, advise and rescue those stranded in the foam pits! Looking around I saw nothing but smiles on the faces of toddlers, children, parents and grandparents all of whom were having a great time, and exercising with it - I was definitely worn out after an hour. The park is now open with initial weekday opening times from 4pm - 9pm and weekend opening times 11am - 6pm on Saturdays and 10am - 9pm on Sundays. From February 15th daily sessions will extend to 10am to 9pm. Prices start from £6.95 (concessionary fees_ with a reduced adults fee of £7.95 for February (£9.95 thereafter). For further information checkout the Better website or visit their Facebook page. 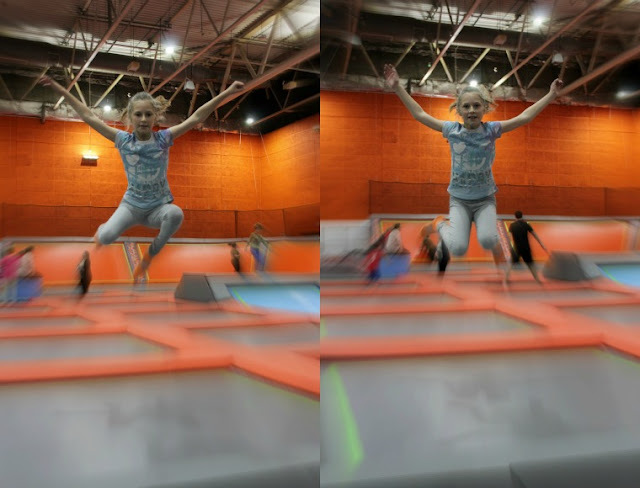 Disclaimer: We were invited to review the Better Extreme Trampoline Park receiving free entry. As always, views and opinions are my own.